You can pay what you want for your chance to learn an invaluable skill! There is no skill more in demand right now than the ability to code. Whether you're looking to launch a career as a web developer or just want to add a new ability to your resume that may put you in line for new opportunities, you can pick up the skills you need to take part in the new wave of development with the help of the Learn to Code 2017 Bundle, on sale now for a price you choose! 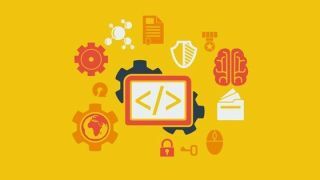 The Learn to Code Bundle is packed with courses for people of all skill levels that will give you the know-how you need to be a talented developer with the talent to succeed. You'll find dozens of hours of actionable content in these 10 professionally-caught courses on the most important programming languages from Python to Ruby on Rails to Java. Add new skills to your toolbox so you can create great works online for fun or get a promotion and take home more money on your paycheck. The Learn to Code 2017 Bundle usually retails for $1,573. Right now, you can pick the price you pay for it. Beat the average to unlock it all or get on the leaderboard. The price is up to you but you can't go wrong no matter what you pay, so grab it today!